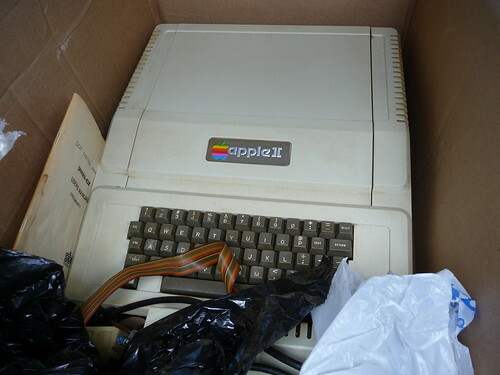 Come see the new and improved Apple II History web site at http://apple2history.org! I am going to the opening of the Covent Garden Apple store, which is the 300th store and the biggest yet. Now there are two sides to this issue and the Library of Congress has decided which side they are on and we already know Apple's stance, but this is gutsy! Over the weekend in concert with the Classic Gaming Expo held out in Las Vegas, a little game called Halo 2600 was release for the Atari VCS/2600. Yes, it really was programmed to run on a real 2600, but can be played under emulation in a browser.